We are looking at a small patch of beach where the sand has slightly collapsed in the middle. No matter how hard we stare, we can see no movement. Under the collapsed sand is a hawksbill turtle nest, and the caved sand signals the hatching process has begun. 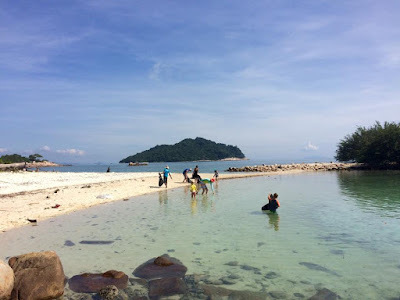 During our weekend at Pulau Tengah in Malaysia we come back to check several times a day, but the little turtles won’t hatch until just after we caught our boat back to the mainland. Because of these elusive little fellows we decide to make ourselves useful during our lazy trip to the island: with our friends we volunteer for a beach clean-up. Numbers of sea turtles are dwindling fast all over the world, and one of the reasons is the tons and tons of plastic polluting the oceans, as well as the beaches these turtles lay their eggs on. 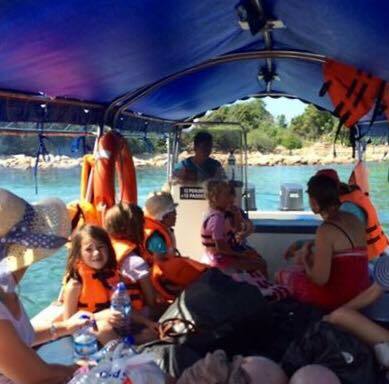 A small boat takes us to the aptly named Turtle Beach, just ten minutes away on the other side of the tiny island. Once ashore we get kitted out with gloves and large garbage bags and get to work. 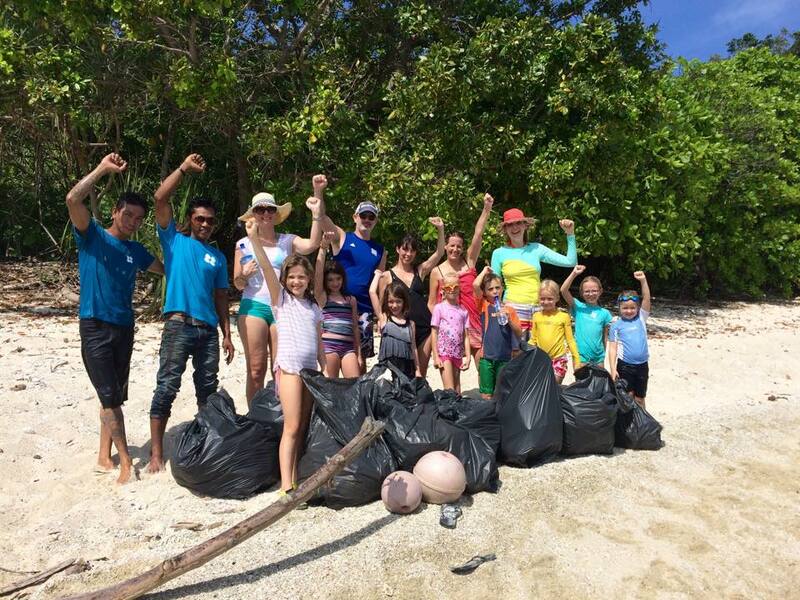 We find tons of plastic bags, cups, bottles, straws, slippers, rope, toys, and much, much more. Tijm and Linde need some convincing to stop collecting shells and pretty pieces of coloured glass, but my turtle stories do convince them, and it is not long before our bags are full. On the way back, sitting on the pile of rubbish in the boat, we feel good. Our guide Carmen, from Turtle Watch Camp, tells us more about the turtles in this area, and how their numbers are swiftly reclining. 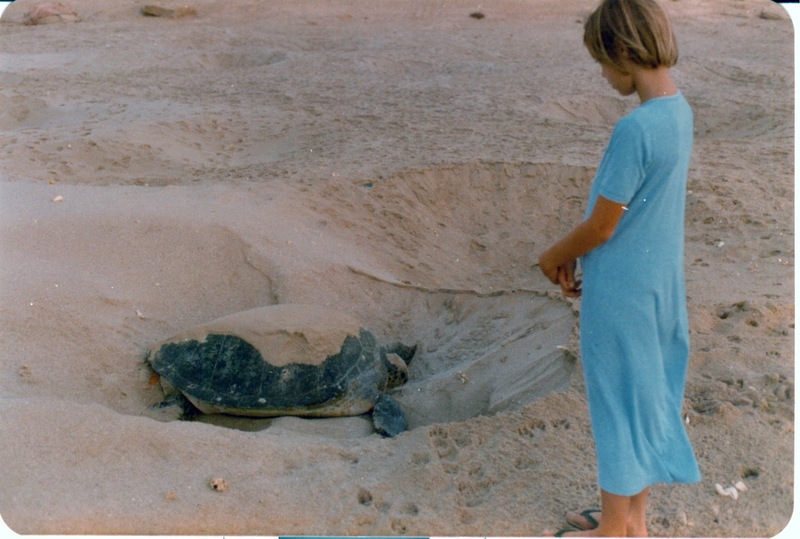 It brings me back to my childhood, and our camping trips to visit the turtles at Ras al Hadd in Oman. 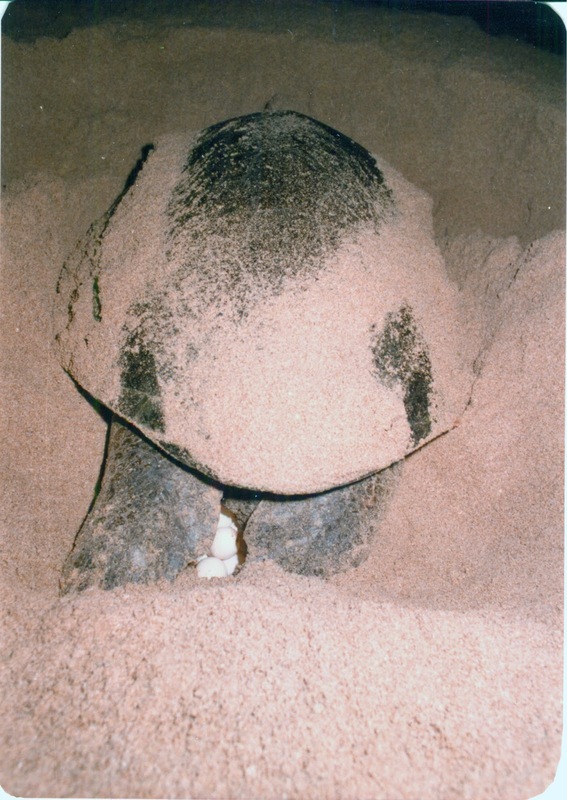 We would camp on the beach under the stars and were woken late at night to witness the giant turtles come ashore to dig nests and lay their ping-pong ball eggs. In the afternoon we had seen their round heads bob in the surf, impatiently waiting for the safety of the dark. There were so many of them. 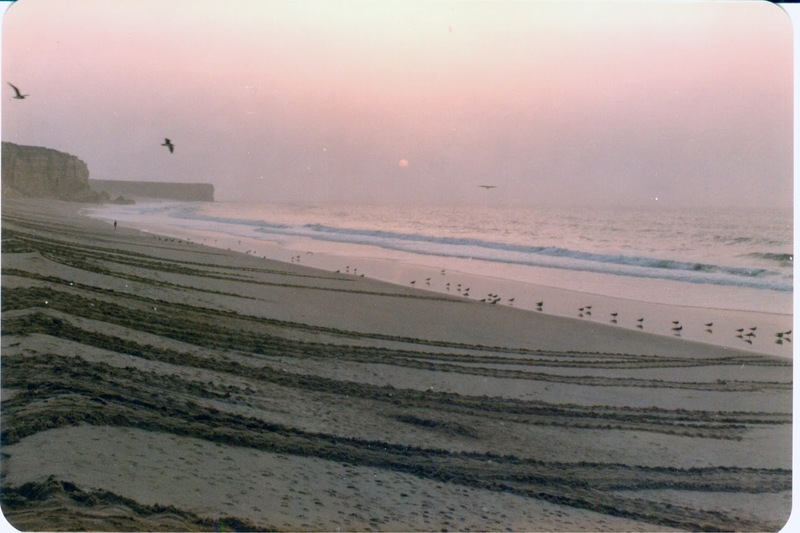 The morning after the tracks the nesting females had left made the beach look like hundreds of trucks had crossed in the night. When I revisited Ras al Hadd in 2008 many of these turtles had gone. A resort on the beach, ironically named Turtle Resort, had scared them away. Seeing the destruction of one of my favourite childhood memories was painful. The connection between tourism and nature is a tricky one. Well-meaning tourists may do more harm than good. Large resorts have taken over the beaches where turtles used to lay. Yet tourism can also help fight another threat that faces turtles: poachers. Tourism might provide new ways of generating income for local people, and conservation projects like Turtle Watch Camp can help educate them on the value of nature surrounding them. Back at home we watch the video of the hatching we missed. We hope our hot and hard work has helped just the tiniest bit, and that one of these little fellows will make it back to Turtle Beach and produce yet another generation. Do you want to be a Turtle Hero too? This world could be a better place if we think of other creatures the way we think of ourselves. It's really important to clean the habitat of animals to protect them ftom getting endangered. Your effort for a beach clean-up is appreciable.